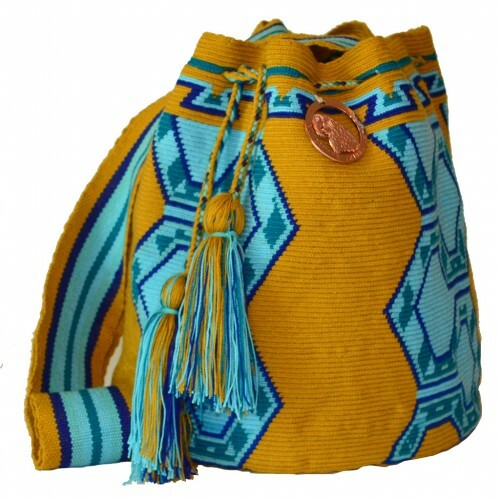 The Mochila bags from our Single Crochet Collection or the authentic “Una Hebra” mochila bag is hand made from a modified single crochet stitch that the Wayuu women have mastered across many generations. It is a tightly stitched bag of the highest quality, which is light and comfortable to wear. 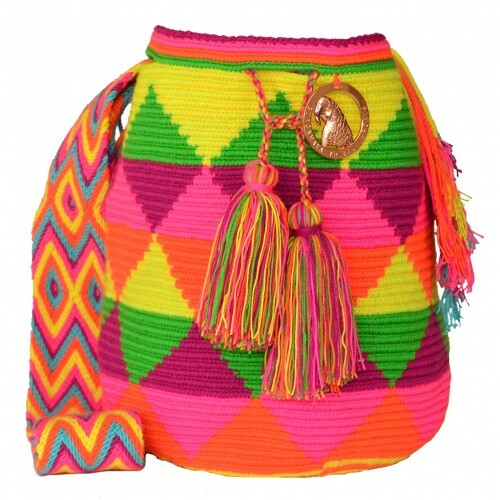 The Wayuu women take approximately 3 weeks to hand make each individual mochila bag. Our customers simply love and enjoy it for many years. 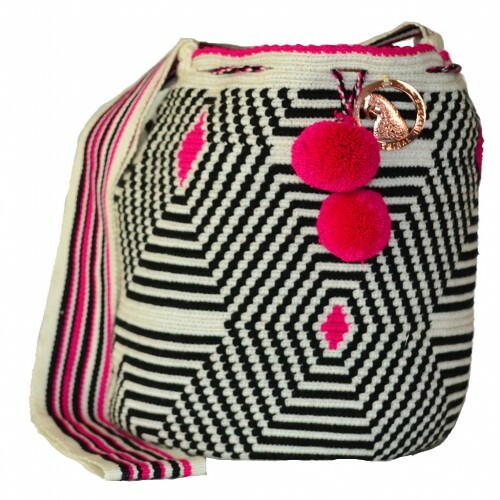 Each purchase of the Wayuu Mochila bag contributes to the conservation of the Wayuu’s unique traditions and to their local economy. Your purchase helps to empower these women from La Guajira, Colombia, with greater independence and purpose. 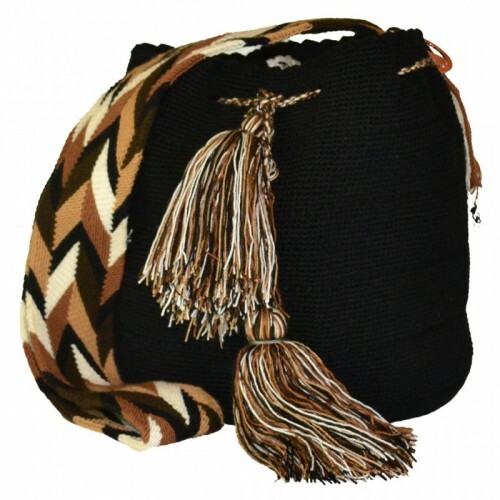 Guacamaya Tribal sustains many employment opportunities and donates a percentage of all sales to the needs of the Wayuu community. 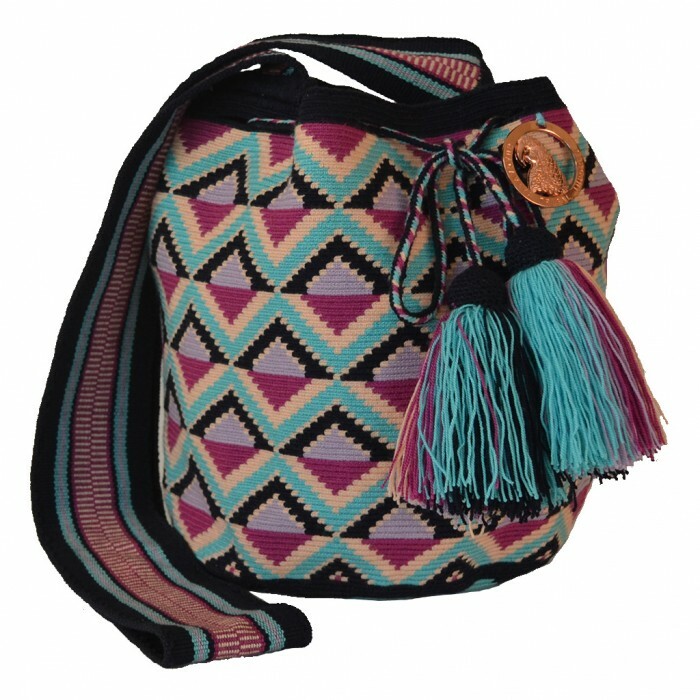 Each bag is hand-made with love from La Guajira, Colombia. Guacamaya Tribal thanks you for your support.